Situated on the Vltava River in central Bohemia, Prague has been the political, cultural, and economic centre of the Czech state for over 1100 years. 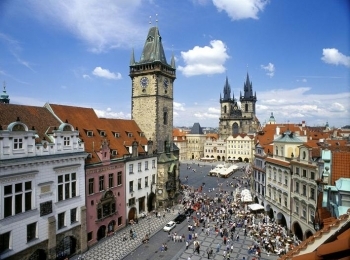 The city is home to more than 1.2 million people (the whole population of the Czech Republic is 10 million people), while its metropolitan area is estimated to have a population of over 1.9 million. Prague is widely considered to be one of the most beautiful cities in Europe and is among the most visited cities on the continent. Since it largely escaped bombing during the Second World War, which befell so many European cities during that period, Prague has kept its unique historical appearance with a labyrinth of winding, medieval cobblestone streets and beautiful palaces and churches of all architectural styles. 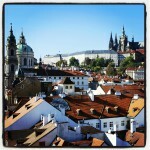 Since 1992, the extensive historic centre of Prague has been included in the UNESCO list of World Heritage Sites. 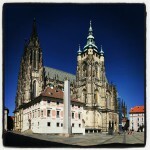 According to Guinness World Records, the Prague Castle is the largest ancient castle in the world. Nicknames for Prague have included “the mother of cities” (Praga mater urbium in Latin), “city of a hundred spires” and “the golden city”. If you want to explore Prague’s historical center, we highly reccommend walking tours rather than driving tours as vehicles are not allowed in most areas. Day trips from Prague – driver-guide service with one person as the driver and guide are the most economical way to explore new, fascinating places. Prague Tours - This uniquely tailored tour is the all-in-one tour winding along the most significant sightseeing places in Prague including a romantic boat trip under the Charles Bridge with refreshments. 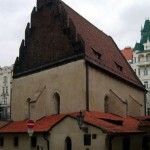 Prague Tours - Did you know that Prague is the only European city which kept its unique Jewish heritage during WWII? 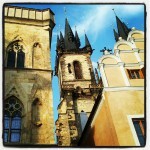 Prague Tours - This tour will give you a basic overview of the most significant sights in Prague just in 4 hours. 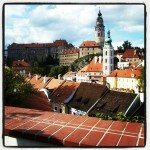 Prague to Cesky Krumlov day tours. Come along this private guided tour from Prague to Cesky Krumlov and travel back in time as you explore no.1 UNESCO site after Prague. Driver-guide services. Choose your own pace. 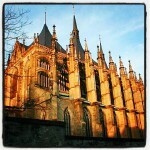 Prague - Bone Church - Kutna Hora day trips. Come along the private guided tour from Prague to the silver mining town of Kutna Hora and the Bone Church decorated with human bones. 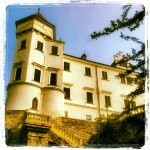 Prague - Dresden day trips. 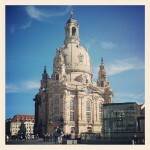 Private guided tours from Prague to Dresden. Dresden has a long history as the capital and royal residence of the kings of Saxony, who for centuries furnished the city with cultural and artistic splendour. 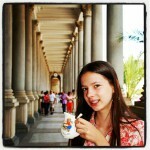 Prague - Karlovy Vary (Carlsbad) day trips. Come along this private guided tour from Prague to Karlovy Vary and explore one of the most famous European spa towns in western Bohemia. 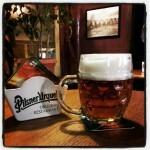 Prague - Pilsen day trips. Come along this custom tailored tour from Prague to Pilsen & Pilsner Brewery and learn about the tallest cathedral in the country and taste probably the best beer in the world. 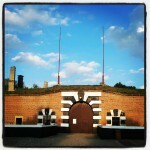 Prague - Terezin Concentration Camp day trips. Come along this custom-tailored private guided tour from Prague to the Terezin Concentration Camp and discover its role during WWII. 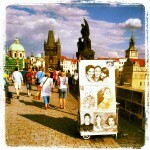 Send us your story about a holiday destination or experience in Prague or the Czech Republic.